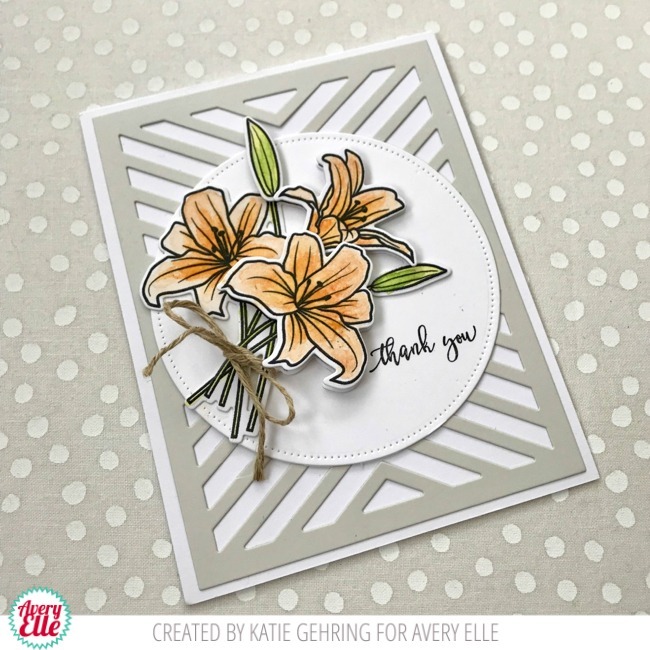 Katie here to share a card with you featuring the gorgeous Spring Bouquet stamp set and Avery Elle's new liquid watercolors. To make the bouquet, first I stamped the the floral images with Versafine black ink and then I heat embossed the stamped images with clear embossing powder. I watercolored with Mimose and Lemongrass allowing the colors to dry completely before going back with additional layers of pigment. For the darker shades at the center of the lilies and in the shaded areas of the stems and buds, I used Fizz and Celery watercolors. The two stand alone lily images in the stamp set coordinate with two of the flowers in the bouquet, so I took the opportunity to add some dimension to the bouquet by adhering the coordinating flowers over top of the bouquet with foam tape. I tied the bouquet with some twine before adhering the bouquet to a circle cut with the Pierced Circles Elle-ments die and stamped with the "thank you" sentiment included in the set. 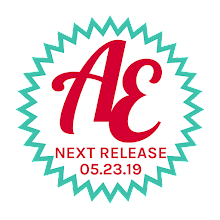 I adhered the circle to an A2 notecard that I matted with the new Chevron Mat Elle-ments die. I love how the circle gives the mat a whole different look!